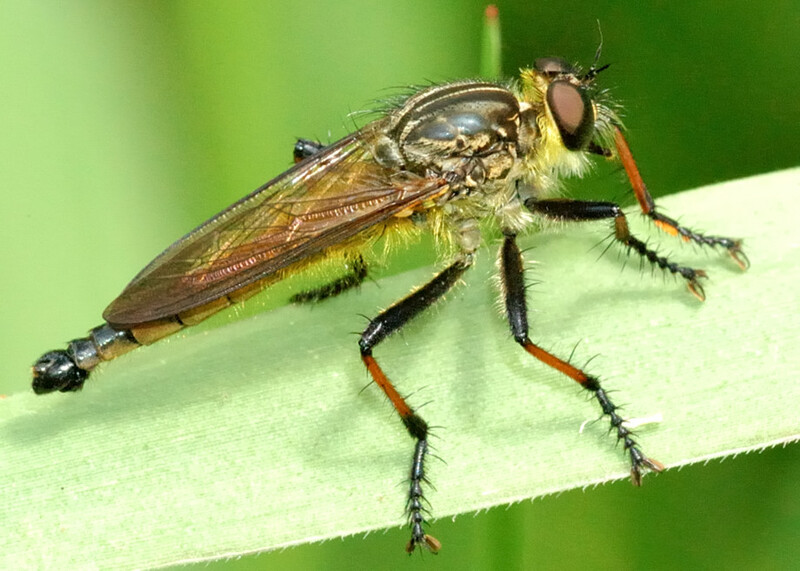 This page contains pictures and information about Large Brown Robber Flies that we found in the Brisbane area, Queensland, Australia. This is a large dark brown Robber fly. 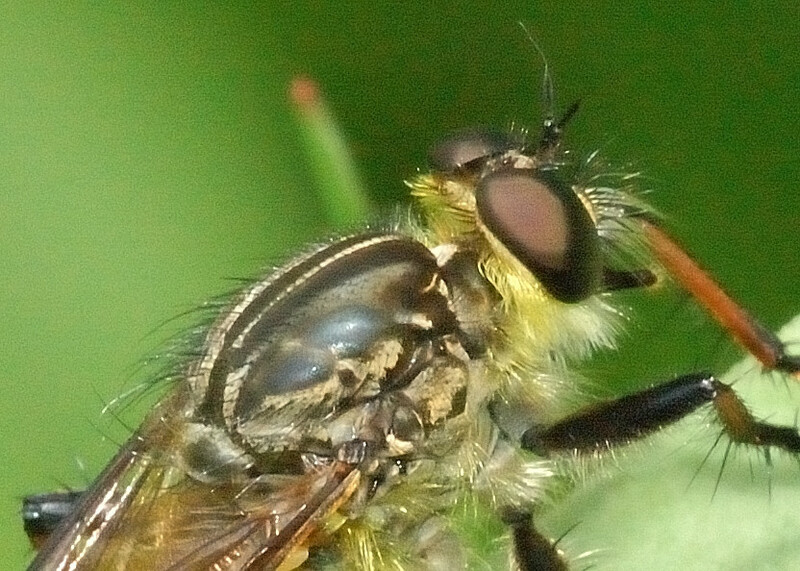 There are black and pale yellow hairs on its face with black antenna on head. There are black median stripe on thorax with yellow pruinose. On legs there are the black femora and reddish-orange femur with black tarsi. 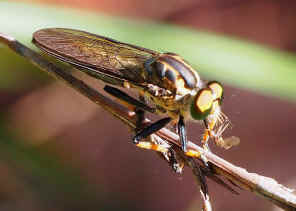 Wings are hyaline with brown veins. 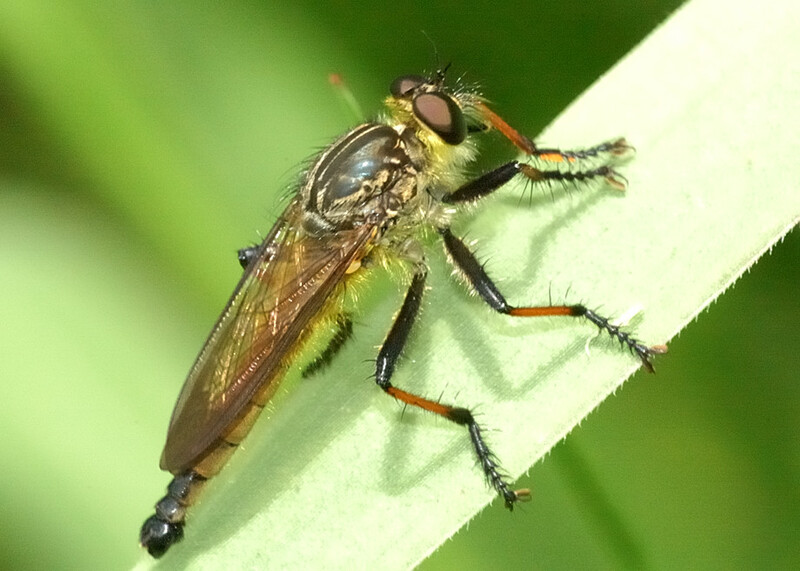 There are the microtrichia on wing tips. Abdomen is grey-yellow with black tip. We found this Robber Fly in Karawatha Forest on Dec 2003 and Non 2011. 1. 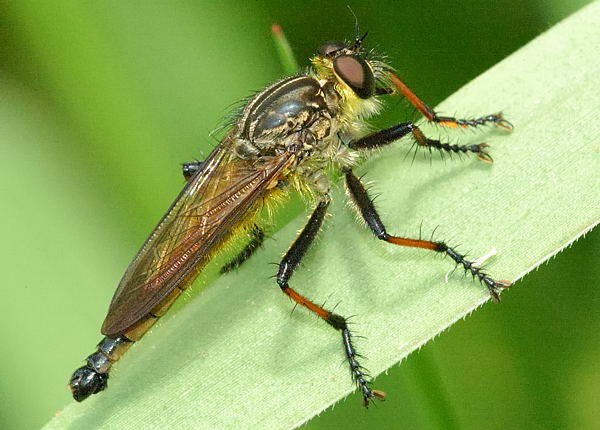 A revision of Neoaratus Ricardo, with the description of six allied new genera from the Australian region (Diptera : Asilidae : Asilini) - G Daniels, 1987. 2. 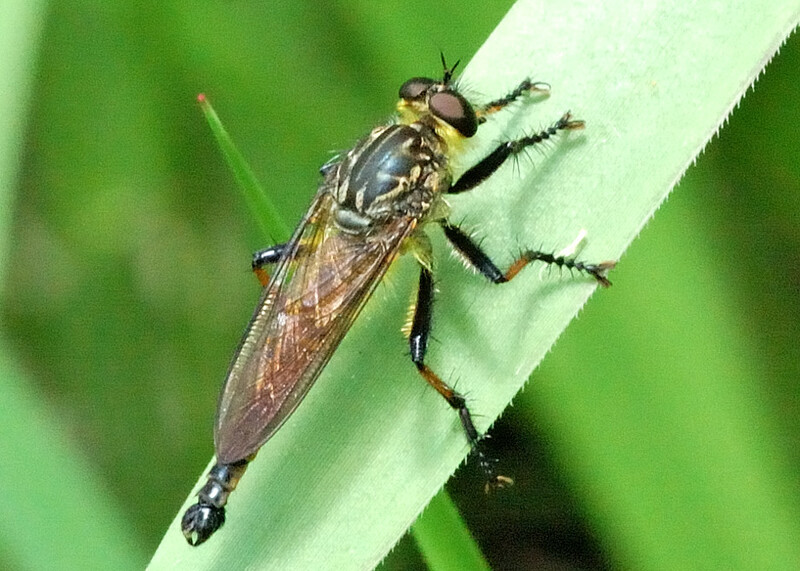 Asilini - Australian Asilidae - Dr. Robert Lavigne, Honorary Research Associate, South Australian Museum, Adelaide, SA. 4. 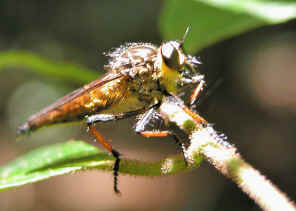 Dolopus rubrithorax - Morwell National Park Online, 2005.